The minister of state for petroleum resources, Dr. Ibe Kachikwu, has described the nation’s importation of petroleum products as a fraud and must be put to an end if the nation was to make progress in the oil and gas sector. He added that the act was also shameful, stressing that the system has been opaque for a long period hence despite having abundant oil resources, the country has been importing finished petroleum products over the years. 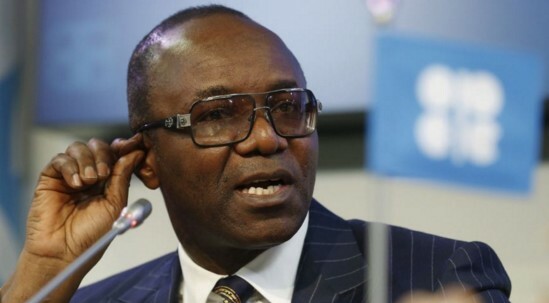 Speaking at the ongoing Nigeria Oil and Gas Conference in Abuja on Tuesday, Kachikwu said the government through the Nigerian National Petroleum Corporation (NNPC) must meet its target of ending petroleum products’ importation between 2018 and 2019. Presenting his ministerial address titled: “Reforming and Repositioning the Oil and Gas Industry in Nigeria,” the minister said “Importation of petroleum products will have to cease. There’s absolutely no reason why a country with the resources that we have will continue to import petroleum products. It is a shame on this country, it is a fraud on the system and we are going to end it. “We are committed to the 2018/2019 template, because it is something we have to do. The refineries are not performing to capacity and it is not going to be easy, but we have to end importation of petroleum products.